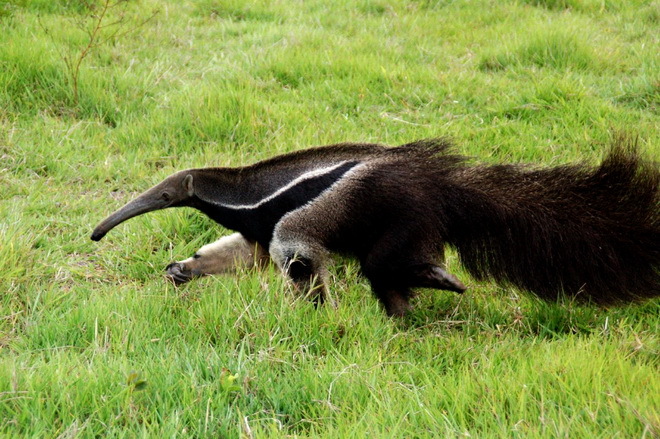 The giant anteater, also known as the ant bear, is a large insectivorous mammal. 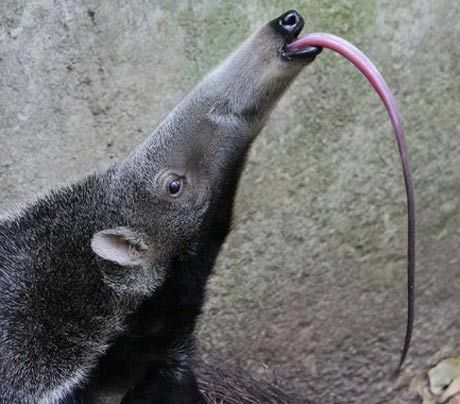 It is one of four living species of anteaters and is classified with sloths in the order Pilosa. What do they eat: Obviously ANTS! Whats their habitat: Grasslands and rain forest. These guys have to be the craziest animals on the planet, but we need to protect them as they are vunerable. They feed primarily on ants and termites, using its fore claws to dig them up and its long, sticky tongue to collect them. One of Europe's finest Zoos - Barcelona Zoo is trying hard to protect the remaining Anteaters in the wild.